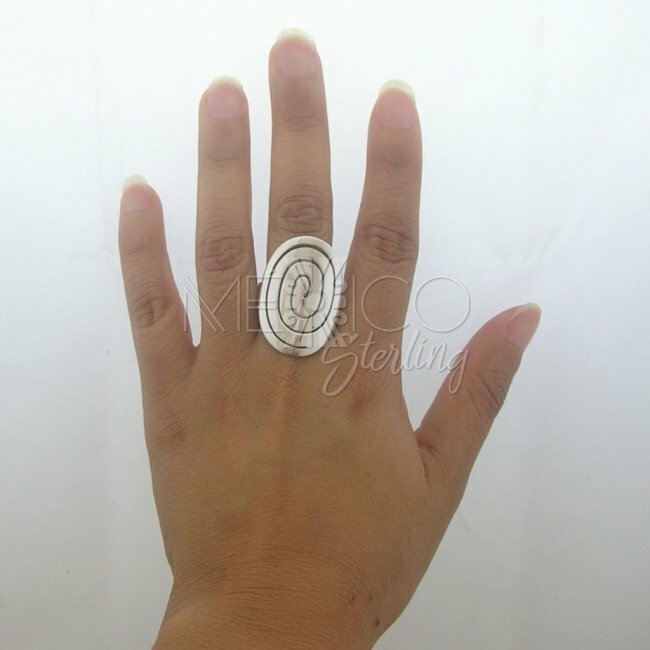 Contemporary Mexican Sterling Silver Ring - $40.00 : Mexico Sterling Silver Jewelry, Proundly from Mexico to the world. 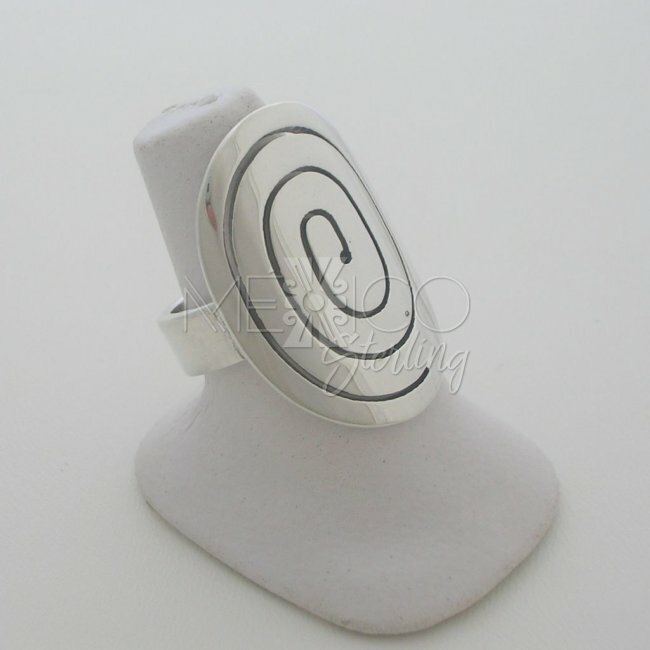 With a geometric shape and circular patterns carved into solid silver, this striking ring is unlike any other you have seen before. 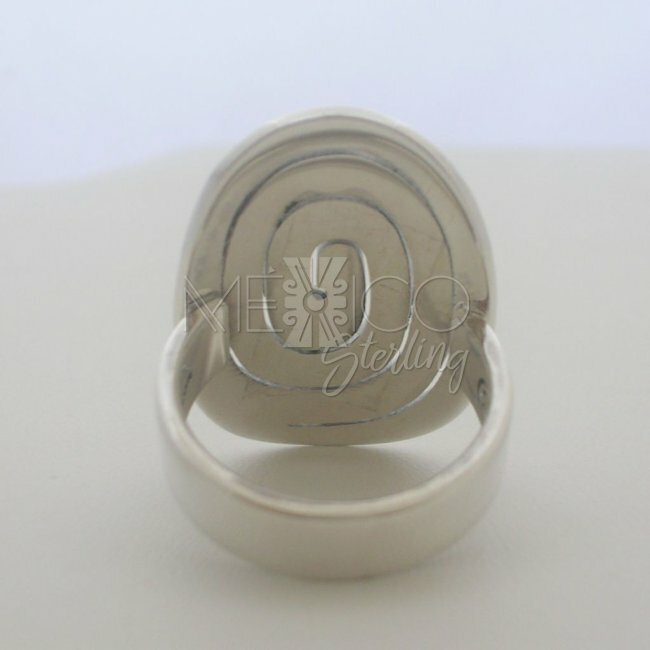 Inspired by the traditional Taxco design reflected in its curves, this sterling silver ring is worthy of the pickiest of jewelry connoisseurs collection. 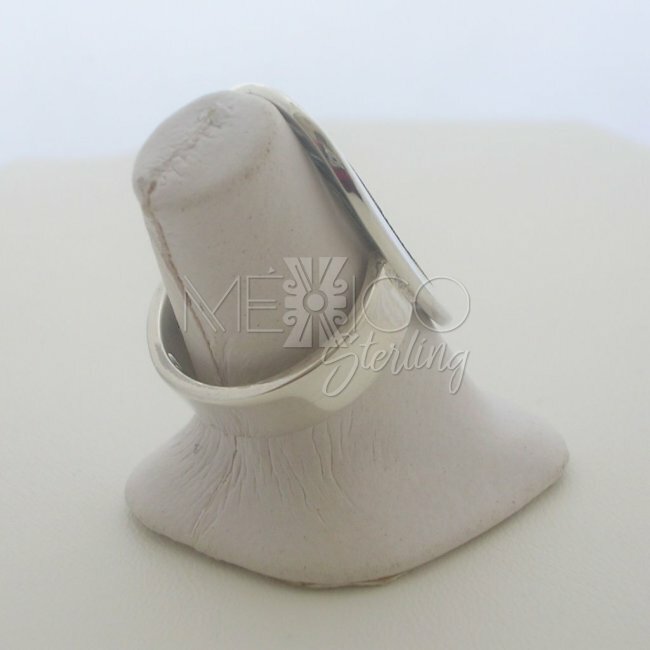 The smooth and beautifully finished design of the ring adds the ultimate modern touch. 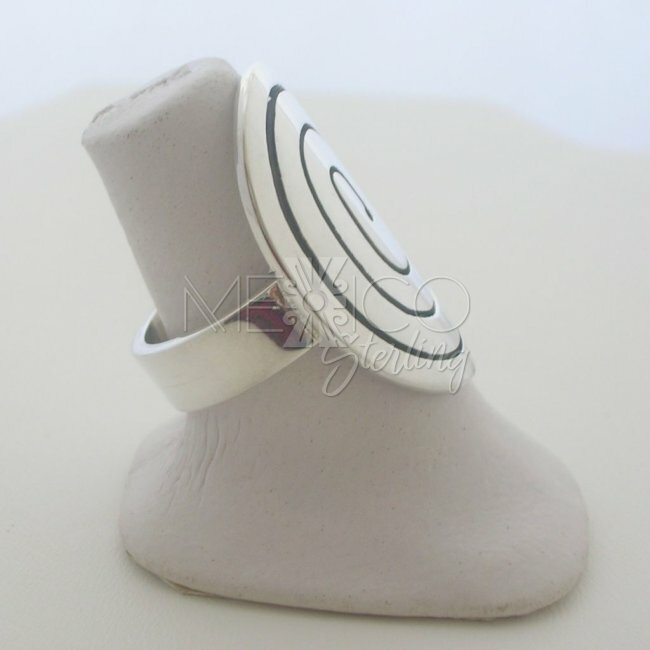 With this statement-making piece, you will hardly need to wear any other jewelry to draw people's attention. 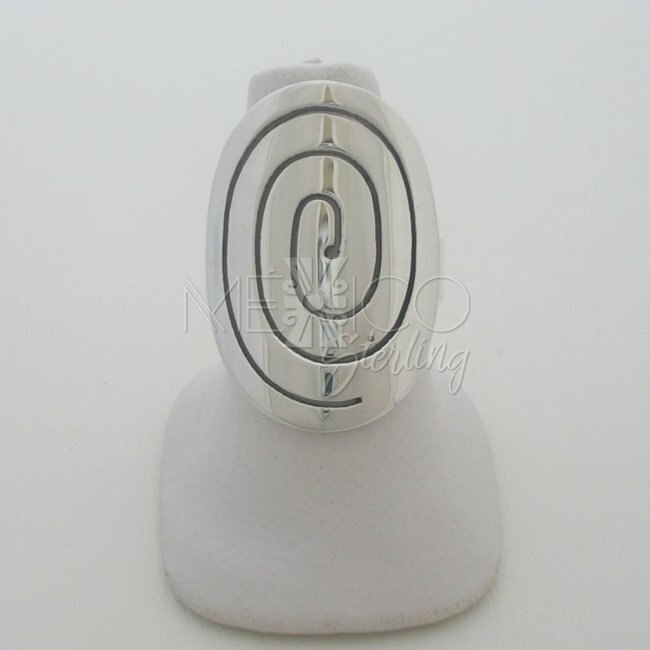 If you have been looking for a traditional yet contemporary and distinct piece of jewelry, this ring is definitely it. 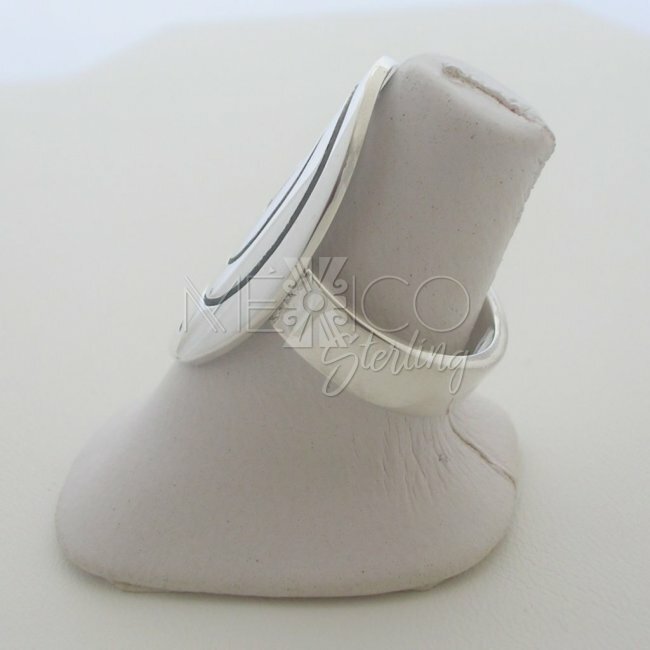 For its design and size, this ring is perfectly sturdy and substantial in weight. Even with the carving, there is a subtle simplicity about the design which stands out. 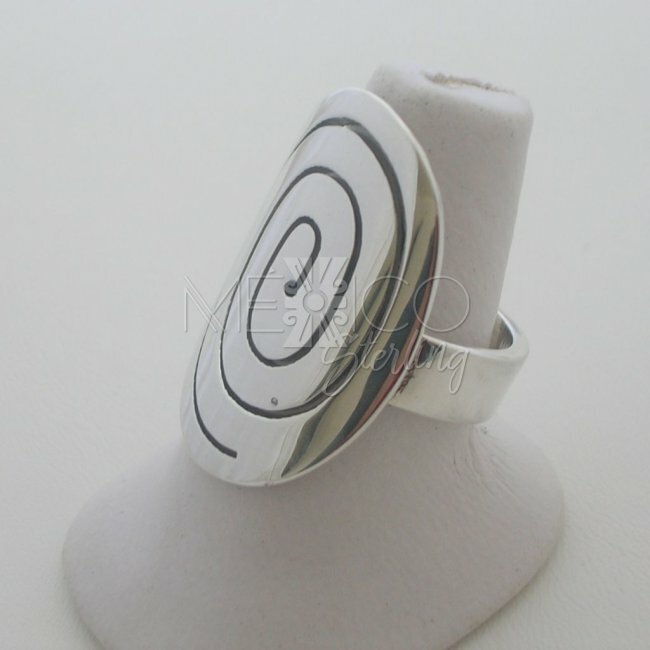 This handmade Taxco Silver ring is all you need if you are looking for a fashion accessory to make a statement. 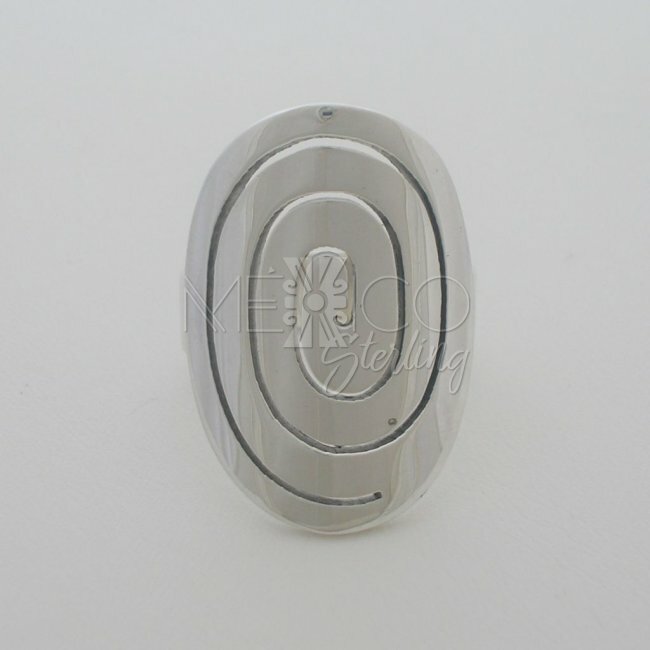 The clean and casual design of the ring is incredibly appealing to the eye. Only available at the moment in size 10.